When a family member of a former CIA operative, Bryan Mills, was "taken" away from him, an action-packed chase is surely expected to be seen. This has been the tradition in Luc Besson and Robert Mark Kamen in their action masterpiece, "Taken" franchise. The "Taken 3" movie is said to be the final installment to the story. And true to its commitment, as I have watched it last night, "Taken 3" ends it all. The movie "Taken 3" starring Liam Neeson is an action movie with a heart. Liam Neeson's Bryan Mills character is always the loving father and husband to his daughter and ex-wife. His love for his family is unconditional and cannot be equaled. The story, however, is quite simple (as compared to the previous installments of "Taken"), but how the story goes and all the actions, car chases, and explosions are what you really want to watch, and the twist is just perfect for a movie series finale. Like the previous installments of "Taken," the movie is still full of action scenes that will satisfy your adrenaline cravings such as car chases and explosions, running on tight alleys, breaking necks and muscles, gun shots and firings, mysterious disappearances, tactical military moves, rescue operatives, and blood sheds among other things. Watch the two new clips released online on "Taken 3" movie here. The inclusion of Forest Whitaker in the movie as the chief inspector to the murder of Bryan Mills' ex-wife, Lenore (played by Famke Janssen) has made "Taken 3" a lot more interesting. I won't be mentioning anymore about his role or I might accidentally spill a spoiler to the movie so, you have to watch it to believe it. Hahaha. 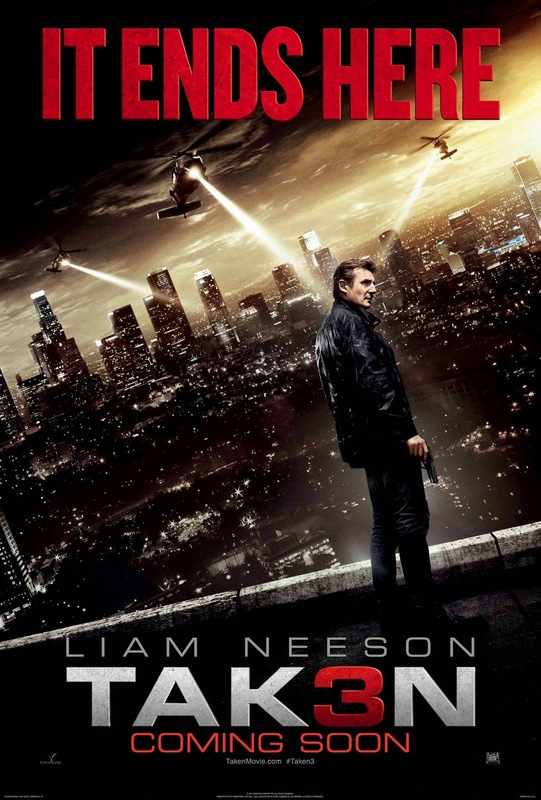 I'm sure Filipino action movie and Liam Neeson fans will surely love "Taken 3" when it comes out in movie theaters on January 14, 2015. By all means, even if it is right or wrong, when it comes to family, the end result is always more important. Be sure to catch the final installment to the "Taken" series franchise in movie theaters. "Taken 3" starring Liam Neeson. Forest Whitaker, Famke Janssen, and Maggie Grace is showing next week. Below is the official full movie trailer of "Taken 3."